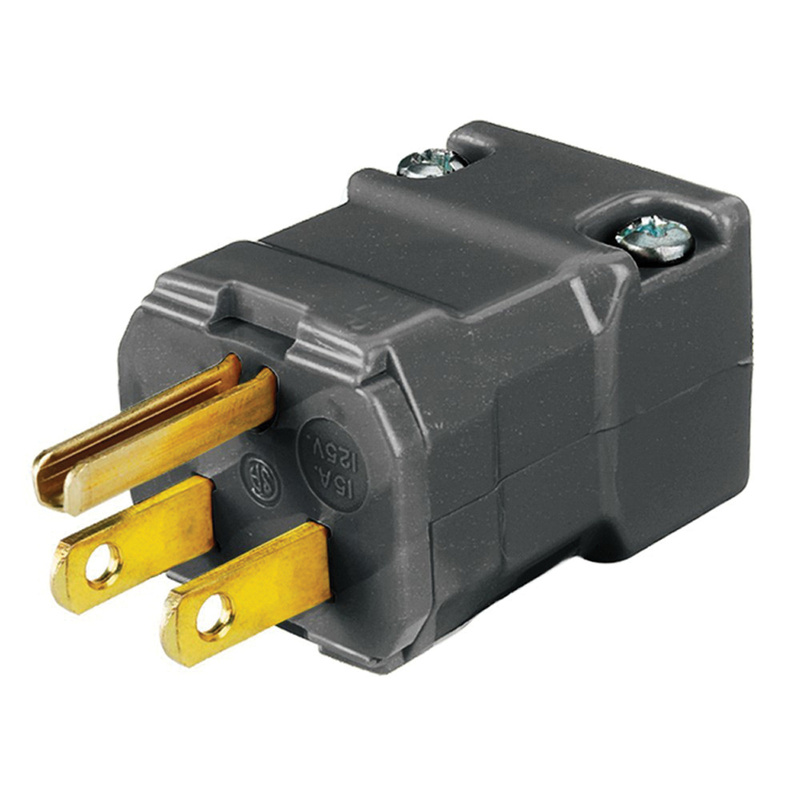 Hubbell-Wiring Valise® Polarized straight blade plug has cord size of 0.22 to 0.66-Inch, voltage rating of 125-Volts and amperage rating of 15-Amps. The straight blade plug meets UL listed to UL498 File E1706 and CSA certified to C22.2 No. 42 File 280 standards.